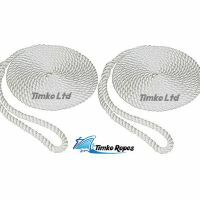 2 x 12mm white 3 strand nylon mooring warps / lines with one large soft eye hand spliced at one end approx 10" inches. Nylon rope has a high stretch characteristic that makes this line extremely good at absorbing shock loads. 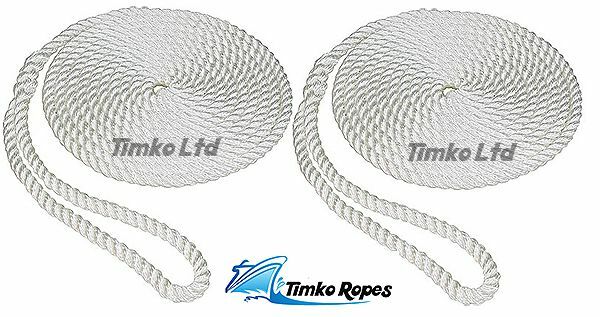 Ideal for mooring lines. Please choose your length from the options in the drop down box. Suitable for all boats, yachts, RIB'S & Jet Ski's. Price is for a pair.